Most guitarists, on learning to sight read standard notation, find chords to be a major (excuse the pun) stumbling block. You can be doing so well reading a line of notes, playing them correctly, clearly and in time, when suddenly you come up against a tower of notes on top of each other and all expecting to be played at the same time. The trick is to see those notes as a recognisable chord shape on the fretboard. It sounds difficult, but it can be done because, if you think about it, it's no different to reading words. Words consist of a series of letters, but you don't consciously have to go through each letter in order to know what the word is. It jumps out at you as a complete word, not a series of letters. The word 'guitar' was no more difficult or time consuming to read than any of the letters surrounding it, was it? You didn't have to mentally spell out the letters in order to make sense of the word. On the other hand, if you come across a long and unfamiliar word like hemidemisemiquaver, for example, stumbling over it is perfectly understandable, at least until you become familiar with it. Once it becomes familiar, it becomes as instantly recogniseable as the word 'guitar'. That's the approach you have to take when reading chords. They're just musical words, and like any child learning to read their native language, you need to start simple. When you see a chord arrangement that you don't recognise, you need to approach it methodically. You can start at the bottom and work your way up note by note, placing each note on an appropriate string and fret, or you can start at the top and work your way down. 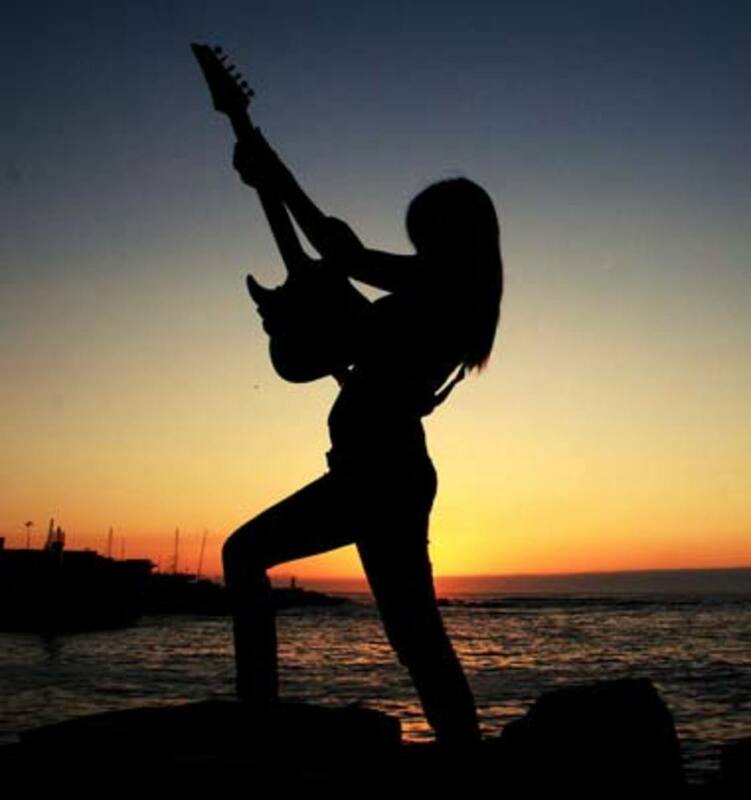 Which method works best depends on the musical context such as where your fingers happen to be when playing the chord or note immediately preceding the current chord. Some fingers may not need to be moved at all. A recommended 'default' approach is to make a mental note of the highest note in the chord and then work your way up the strings from the bass - choosing notes that are within reach of the highest note. For example, say you have a chord with B on string 1 fret 7 as the highest note, and you have B as the bass note two octaves lower (and a whole bunch of notes in-between). It's no good starting with B on string 5, fret 2 as your bass note as you'll never reach the high B note if you do. All the notes have to be within reach of each other otherwise the chord will be unplayable. With that in mind, the obvious choice for the low B bass note from which to build the chord will be on string 6 - fret 7. So always make a mental note of the highest note in the chord and work up from the bass note making sure that every note is within a reachable number of frets of the highest note. Don't worry about trying to play them in time, although you can do that later. For now, you can take your time and work out the notes individually and methodically. Take however long it takes. You'll gradually get quicker, and you'll begin to see them as meaningful units - just like words. These are the easiest chords to recognise and can be played with pick or fingers. When it comes to chords that don't include the first string, playing with a pick is slightly more difficult as you have to ensure you stop your pick in time before you come to the unwanted 1st string. The exercises below include guitar tab for those who need to check that they've got the right notes, but it's important that you only look at the tab when it's absolutely necessary. The more you look at the tab, the longer it will take you to recognise chord shapes in standard notation - so don't do it, unless you have to. Start with the bass note on the 4th string and work your way up the notes one by one. Take your time. Pay attention to the accidentals. Where natural signs appear in front of a note, it's just because a previous note on that line or space in the same bar was made sharp or flat and the software notation program has placed them there to show that the new note isn't still affected by the previous accidental. Strings 5 to 2 present a little more of a playing problem if you're using a pick as you have to take care not to overshoot and hit the first string. You can also damp the first string and strum more heavily without fear of an unwanted note from hitting it. Chord arrangements on the lowest four strings are less frequently encountered as being so low in pitch they tend to have a 'muddy' sound, especially if there are lots of notes involved. You'll still come across them in real music, though, so you need to recognise them. These chords are more suited to strumming with a pick. They're not amenable to fingerstyle playing as there are too many strings - So a pick is the way to go unless you prefer to strum with your thumb or finger(s). These five and six-string chords are best played with a pick rather than fingerstyle as there are more strings than the number of fingers you have available to play them. Don't be put off by the accidentals. Take as long as you need and take each note in turn. Name it and place it on the fretboard. Real music doesn't have so many accidentals as the key signature of the music gets rid of most them. As these exercises don't use key signatures, there's no need to remember which notes have been made sharp or flat. The accidental is right there to tell you, although it may be further back in the bar. Now we include chords moved higher up the fretboard. Many of the nut position chords played so far can also be played up the neck. As long as you play the right notes, you can play them wherever you find them. The chord shape doesn't have to agree with the tablature. These chords all have at least one non-adjacent string, so they need to be played in fingerstyle, i.e., with thumb and fingers. 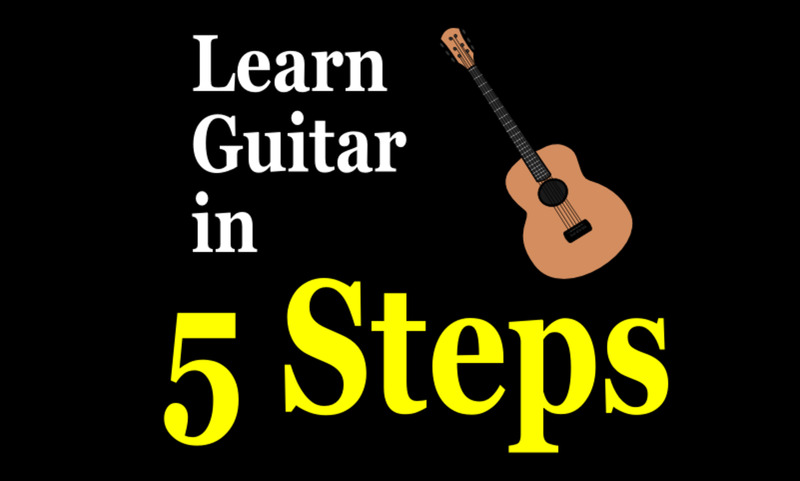 This exercise includes the whole range of strings played fingerstyle - so if you aren't familiar with fingerstyle playing, use your thumb for bass notes and the three fingers for each of the remaining strings. 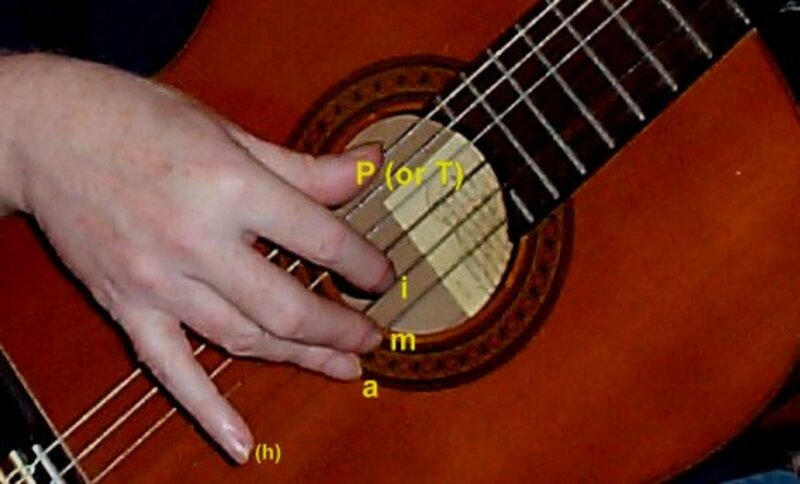 Your 4th finger is too short to be useful and isn't included in standard fingerstyle or classical technique (although flamenco guitarists often use it). As with the other groups, don't be put off by the accidentals. Take your time. Name and place the note in your own time. You'll eventually get faster at it. Chords with non adjacent strings, apart from being impractical for playing with a pick, can also be slightly difficult in fingerstyle technique depending on the chord arrangement. 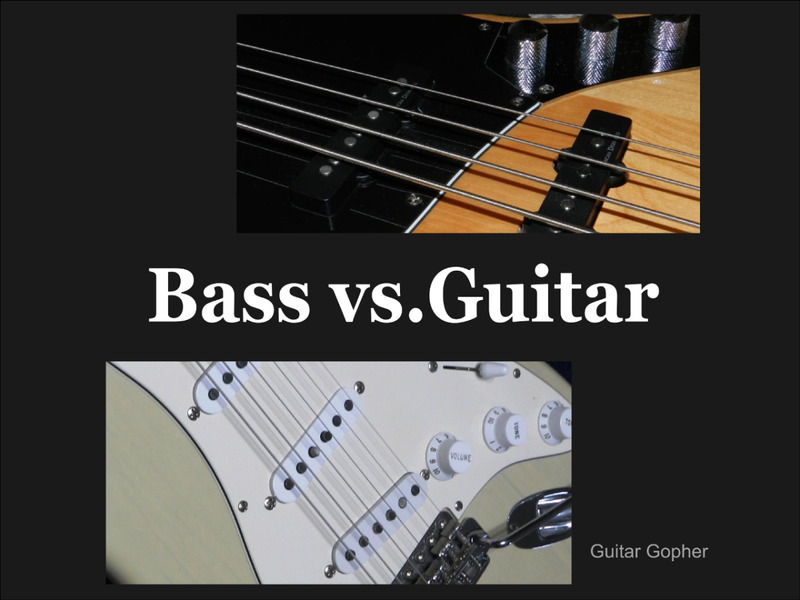 If the non-adjacent string is the bass note, it's no problem; your thumb takes the bass and the three fingers will have three adjacent strings to play. If the non-adjacent string is among the three upper notes, it's more difficult as separating the fingers to play non adjacent strings needs practice. 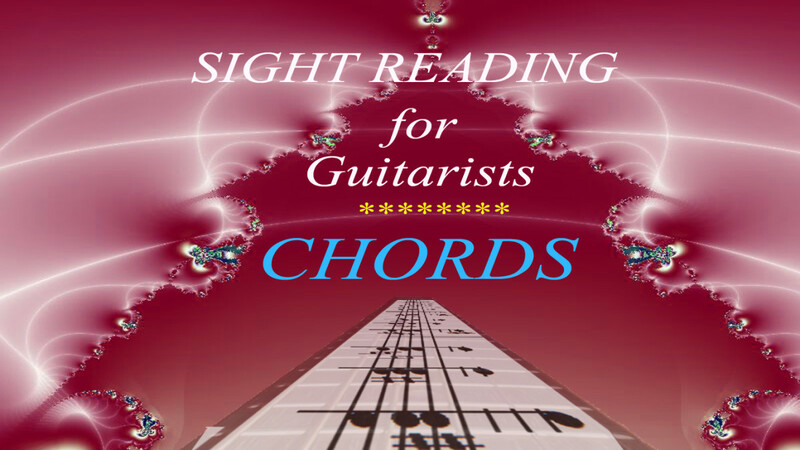 Practice and a methodical approach are the keys to success in becoming fluent at sight reading chords. If you practise the exercises in this tutorial regularly, you'll see progress, but eventually, they'll lose their usefulness as you'll start to remember which chord comes next. When that happens, vary the playing order. Play them backwards, choose chords at random. It's important that every chord is seen as a new challenge. That's the essence of sight reading. 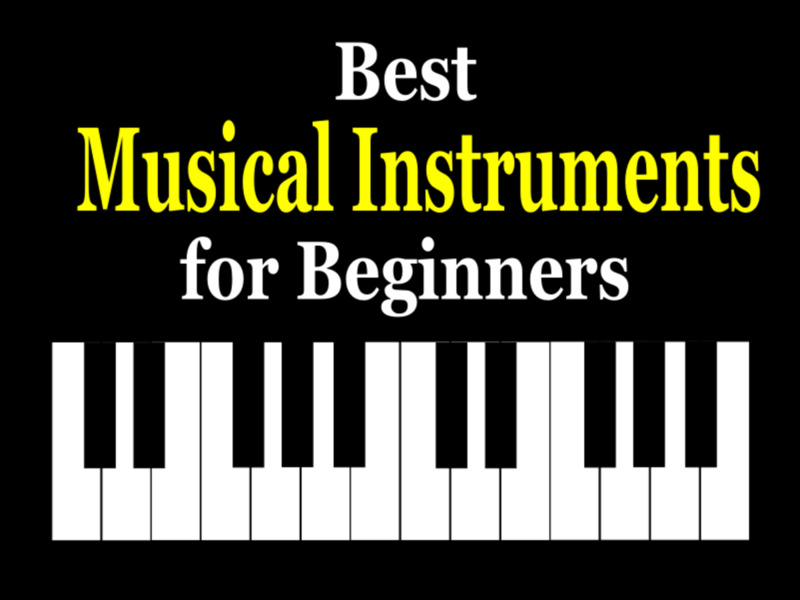 You can also try the first exercises and move the chords to a higher position and see if you can work them out. It won't always be possible, but that doesn't matter; you're still getting good practice. 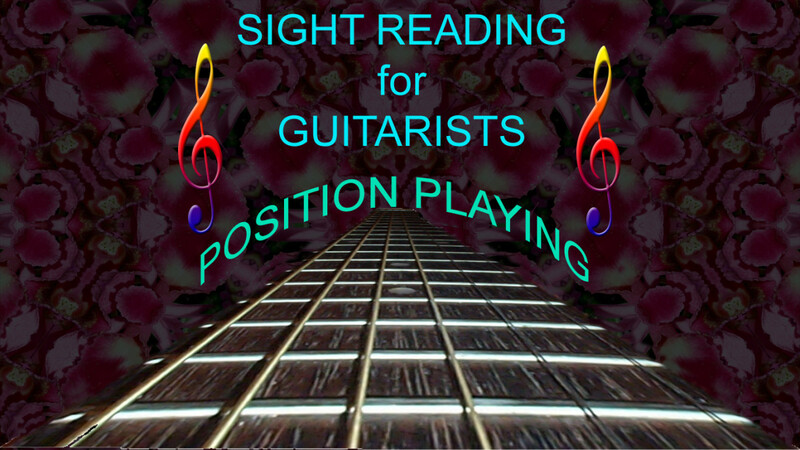 See the other articles in this series of Sight Reading for Guitarists Hubs by clicking through the list shown at the bottom. The sight reading topics include: Simple Time Signatures, Compound Time Signatures, Key signatures and Fretboard Position Playing. All text and images in this article are by chasmac and for publication on HubPages only. I can find chords on the guitar, but I do not know what to call them. What is the best way to name the chords I am reading from a lesson?